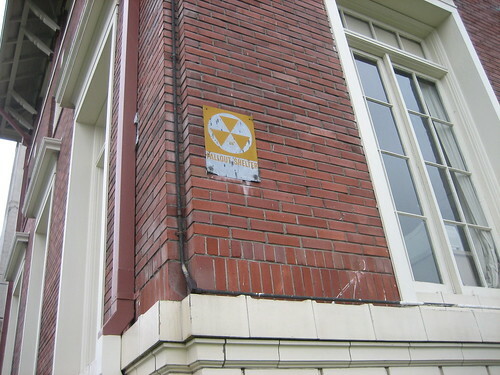 Walking around town last weekend, I stumbled upon this old brick building with a “Fallout Shelter” sign on it. Always good to know where your local bunkers are, I suppose. I imagine the thing is a remnant from the ‘50’s or ‘60’s and that it isn’t stocked or maintained anymore. But, still, I doubt the shambling masses of the undead will be able to eat you in there. This post was published on 2007-03-03 . It was modified on 2012-09-15 .